Most Seniors can remember the nursery rhymes that they learned as a kid but how many of them can recall all the words now. A game we played at the Redwood Club here in Tawa, Wellington was to give them the first few lines of a nursery rhyme and ask them to finish it. This did bring back many memories, especially when they could not remember what the completion was and had to be told. Thank you Owen, sorry for the delay sorting out this image! 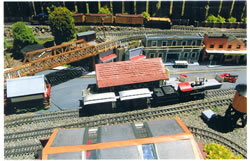 An interest we at The Redwood Club in Wellington tried recently was a visit to a garden model railway. 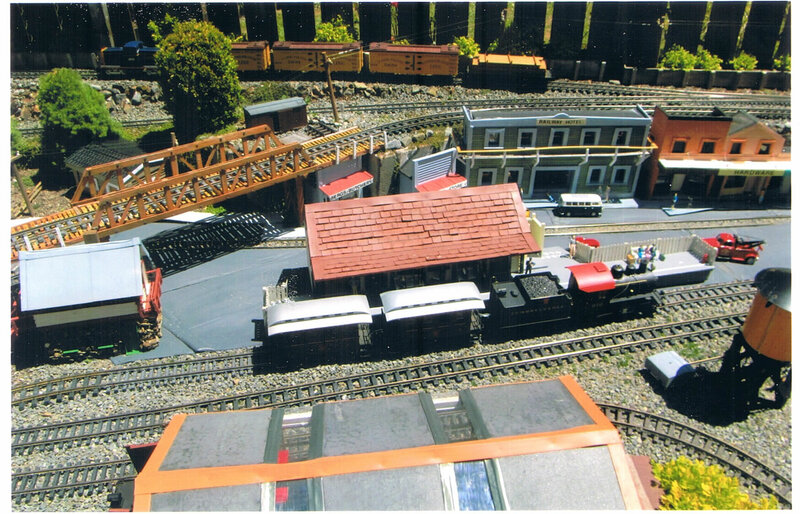 Most were not at all interested in gardens or model railways or both but with a little persuasion we managed to take everyone on the outing. Our host really turned it on for the visit with chairs in the shade, drinks and nibbles as well as the trains running through the garden. Everyone came away enthusiastic over the visit and could not stop talking about it, This was a great success which could be repeated again or with some other hobby such as the vintage cars already mentioned above. 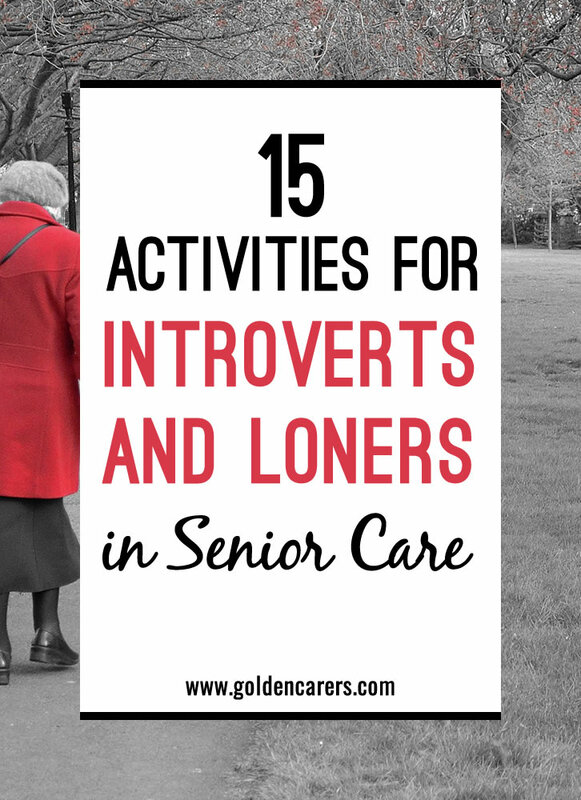 Your Golden Carers site is full of ideas. Thank you sincerely. Thank you Owen! Your support means so much to us. Hi there. I appreciate what you are trying to do here. My dad was in a care home for many years and it seemed as if all the residents were expected to participate and socialize. I'd like to set the record straight about introverts. We are not shy. Shyness is a clinical problem that can be addressed. And introversion is not a mental disorder. Introversion is normal. Introversion is not the same as being highly sensitive although some introverts are highly sensitive. Introversion is not a problem to be solved. Most introverts are not lonely. We enjoy our solitude! Having said all of this I am glad that you are addressing this issue and I realize how difficult it is to help seniors in care, all who have different needs. The most important thing is to assess each person individually before decided on what type of activities or care they require. Thanks! Hi a good programme to try with residents of all abilities, some will need more help than others, is the British Gymnastics Foundation "Love to Move" exercises. They are really easy assymetrical, bilateral hand exercises that can have the effect of 'rewiring' the brain. I hold the hands of my residents that cannot do it themselves , and as time goes on I see them trying hard themselves to do the exercises. Well worth doing. I appreciate all the helpful comments and ideas and have definitely put some2 use! My challenge is that I work in a memory care unit where 90% of the residents have severe memory issues and the remaining10% cannot communicate. Art therapy seems 2 be something they ALL enjoy, however working with SO many different levels of Alzheimer's and the degree of decine has proven extremely challenging! No matter what the activity. How do I handle this 2 better serve the residents? Especially when I have on some days 6 to 9 people and my volunteer CAN'T be there? It can be exhausting and the residents moods can shift from one minute2 the next.....thanks4 ALL the great tips you offer! I will probably have to go into assisted living soon. It will have to be a facility where I can have my computer with its 32"- screen on my modem set up. As an introvert I love playing bridge on line, working 500-piece jigsaw puzzles, reading books, doing my own banking, working logic puzzles, listening to classical music and comedians, watching movies ALL ON LINE. And of course it enables me to stay in touch with my loved ones and just a couple friends who are still living via email. I may have to wear earphones for the entertainments that have an audio, but that's doable. When not doing the above, I love hard crossword puzzles. No TV for me - commercials too boring! Thanks so much for your feedback Judy. I wish you all the very best for the future. I hope you find the perfect place! Play the UNGAME It encourages conversing and telling stories of one's life. No winners or losers. Everyone has a story to tell about their life, The questions are really good to start sharing and reminiscing. I have recently started work as an 'activities officer' in aged care and at least one third of residents are basically non-ambulate - sitting in a water chair as well as non-verbal.most of these residents have also little or no use of their hands and arms. Apart from hand massage, manicure, ensuring they attend music and sing-a-longs, I read poetry to them and the paper(only positive stories). I need more ideas to improve the quality of life for these residents! any & all suggestions will be greatly appreciated! I have found these residents enjoy garden walks. Also if your able to get an Ipad you can google things that interested them in the past eg nature, birds, trains, boats even film clips of their favourite singing group. If they were travellers you could google places they have been and talk to them about this. They may not be able to respond but you can normally get a lot from facial expressions. It is a great way to do reminising with them. My Residents have enjoyed the adult coloring sheets. They are always asking for more. They also enjoy word search, crossword puzzles and trivia sheets. Packets are handed out weekly. I worked in a care facility that ran a Seniors "Spin Class". It was lead by a Recreation and Occupational Therapy staff member. The stationary bicycles came in two styles an upright regular bike or normal style as well as the low rider type. The lower rider was where you were seated in a regular chair but strapped your feet into a stationary bicycle. Various music was played while participants cycled, some were familiar songs that they sang along to. This program was well received by those who joined in. I love all the comments that have come through - Solange - I am working in a Frail care Centre where even an exercise bicycle is not an option because of the fraility of the residents. Though I do run a "chairobics" session each day. Another option for the loners is a crossword or puzzle challenge which can be handed out at the beginning of the week and then a prize awarded for the first correct entry drawn. I have a lady who spends much time alone but now has a volunteer doing the cryptic crossword with her because of her macular degeneration. Now another lady has joined them so suddenly we have a small group. We also have a jigsaw out on a table in the lounge for everyone to enjoy. Balance is indeed a problem for most elderly people. Nevertheless, cycling accounts for 23% of all journeys for people 65 and older in the Netherlands. The sport is not deep-seated in our culture but it is becoming increasingly popular all over the world. Many people are now starting cycling in their 60s + years. The University of Sydney conducted two Pilot Studies of the effects of bicycling on balance and leg strength among older adults between 49 â€“ 79 years of age. The research concluded that those who had cycled in the preceding month â€œperformed significantly better on measures of decision time and response time than those who had notâ€. The research added that cycling is less stressful than walking and that the risks are outweighed by the benefits. I realize that there arenâ€™t many â€™cyclistsâ€™ in long-term care but soon we will hear of â€˜Cycling Programs for older Adultsâ€™ being recommended. Yes our residents partake in most of those activites loner or not but one of the things that we do for our residents that prefer their own company is find a like minded volunteer to spend some time with them and encourage them to start the journey of telling their lifestory. This often results in that person and the volunteer being very good friends. We our lucky to have our own coffee shop so that the resident and the volunteer will enjoy their conversation and friendship in that environment. Well done - great article and I am so glad that you have made mention of the fact that some residents enjoy their own company. When living in a communal setting where rooms have to be shared its hard for residents to find "their own space and time to themselves". I have also noted that unless every resident is joining in with activities there is pressure on the facilitator to include everyone or somehow you are perceived as not having done your job.. No activity is therapeutic unless the person wishes to be a part of it. Choice is so important especially in a frail care setting where so few choices are left. The only activity I would exclude is biking - not many elderly people still have the ability to balance safely! Jigsaws are another idea for residents that don't like mixing with others. We leave a jigsaw out at all times and the residents can go and put in the pieces when they like. Once the jigsaw is finished we place it in the main sitting area for all to enjoy until the next one is done. It's amazing the amount of residents that like to pop in and add a few pieces every now and then.